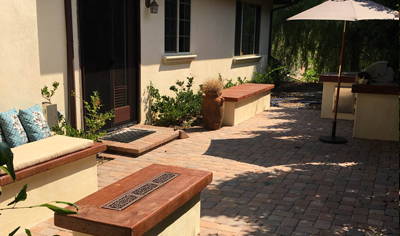 Patio constructed of pavers. 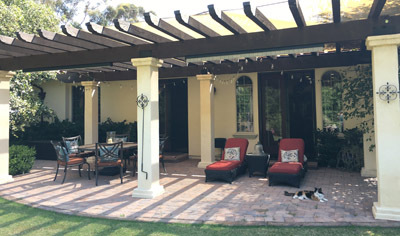 Shade cover pillars constructed of cinder block/stucco with carved wood beams on top. Lawn with curbing, shrub and tree areas, paver patio, shade cover. 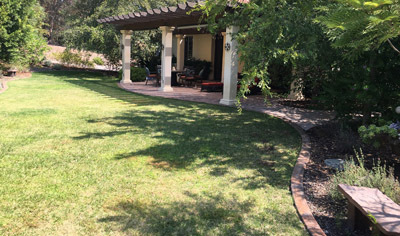 Complete yard makeover for low water use. Existing planter beds were turned into succulent gardens. 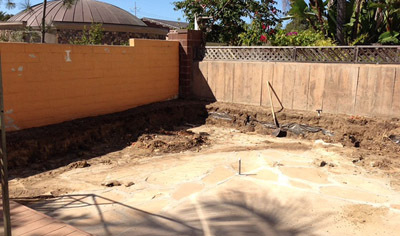 Complete hardscape yard markover with paver patio, custom built firepit, stucco wall and benches. 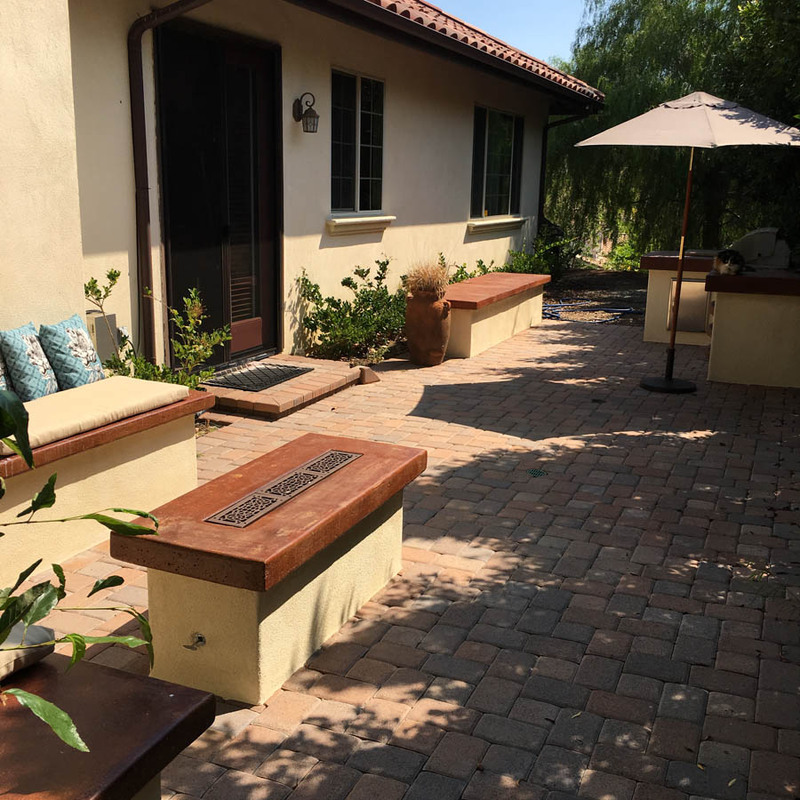 Side yard remodel with new shrubs, plants, drip irrigation, concrete steps. 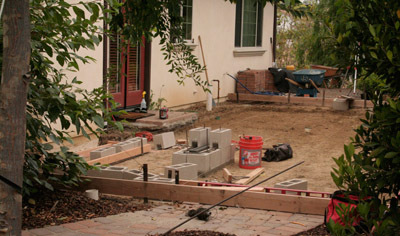 Side yard install: paver patio, custom built firepit, concrete seating, concrete grill area.